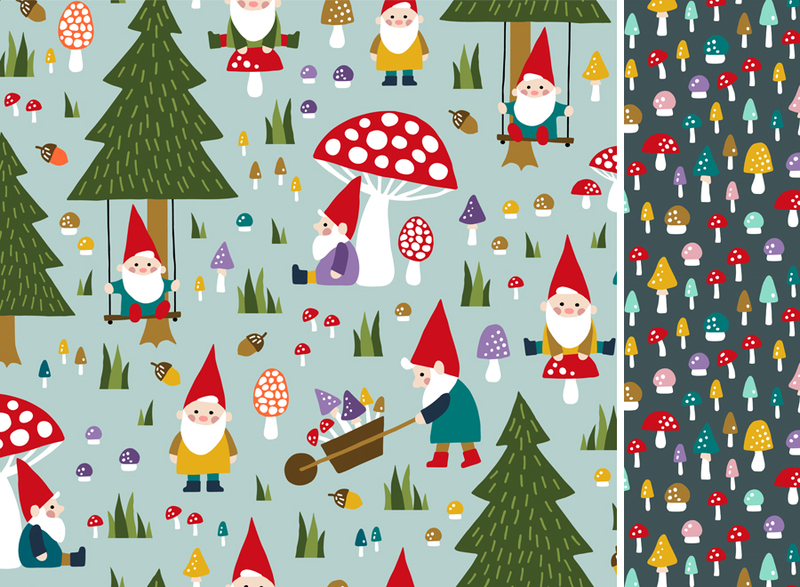 My Happy gnomes playing between fungi won 7th place in the Spoonflower challenge. So many cute details in this gnome forest. You can buy this design and some coordinates in my Spoonflower shop on fabric, wallpaper and gift wrapping.